Finally, V. Vaidyanathan converts his Capital First into a bank through merger with IDFC Bank. But in this new unforgiving banking environment, however, can he strike it big? When V. Vaidyana-than first stepped into the playing field in the early 90s at Citibank, the banking industry enjoyed an open field at the time. Banking was massively underpenetrated. ICICI and HDFC Bank had just got their license. Public sector banks commanded about 95 per cent of the banking business and the huge tailwinds of demographics and under-penetration drove private sector banks to gain market share and dominance. Even in 2004 when new banking licenses were issued to Yes and Kotak, things were still virgin. Newer private sector banks, with their service orientation and freshly minted branches, were on the road to massive growth in their businesses. Since then over ten new banks have arrived. There are no more easy pickings. Consider this, in April 2011, for which data is available at the RBI, the total ATM count was a shade over 75,000. There were just six lakh points-of-sale machines, about 1.7 crore outstanding credit cards, and 23 crore outstanding debit cards. 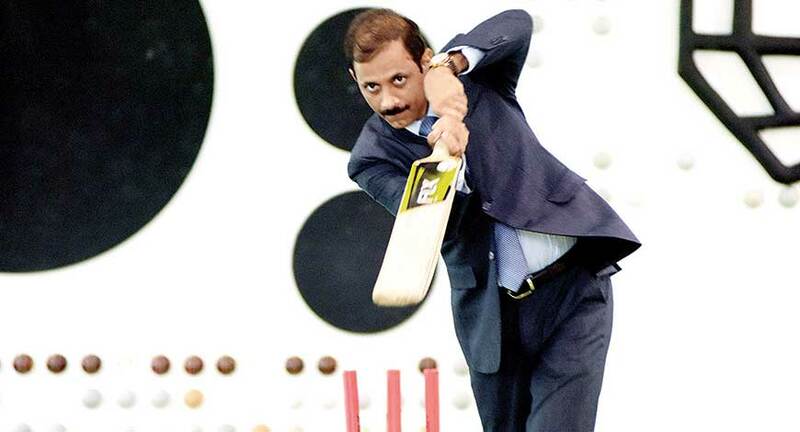 But in the two decades since Vaidyanathan made his debut, banking as business faces multiple headwinds. Come 2019, and there are well over two lakh ATMs, more six times more points-of-sale machines at 36 lakh, 4.32 crore credit cards outstanding, and over 99 crore debit cards. The private sector has weaned away a large chunk of the market and now commands 28 per cent of the total banking assets of $2,358 billion. In the last few years, the cream banking customers have already been taken. Some of the more established private sector banks have made huge base and garnered captive customers leading to more incremental growth in assets and liabilities. To top it, the last five years have seen a flurry of disruptions in the banking space, in almost all areas led by payments solutions, and extending to lending, back office operations, credit appraisals, etc. Fintechs have added another layer of competition. Again, credit growth isn’t growing as quickly as hoped, and banking businesses lack the sprite and innovation of the newer fintech firms. Simply put, for a new bank that, well, is not just starting from scratch, but also with a handicap of a low CASA and a large wholesale book the climb is rather steep. Further, a combination of wage inflation and a lower threshold of doing business have driven business acquisition costs skyward in the past few years. Every single new retail customer acquired sets banks behind by a few thousand rupees in initial investments. So how, in this day and age of modern banking, more expensive, highly penetrated banking environment can Vaidyanathan reprise his stunning earlier term? The deal with Shriram had just fallen through when Rajiv Lal, managing director approached Vaidyanathan with a merger proposition over a brunch of idlis (Indian rice puffs) and khichdi. After a three-year head-start in banking after it first received a banking license in June 2015, IDFC Bank has hardly any progress to show. Market observers BW spoke to say it is a stalled bank, and has only managed to open 120-odd branches by January 2018 at the time of the announcement of the merger. By contrast, Bandhan Bank, which obtained a license at the same time, has scaled up close to 938 branches. On the other hand, Vaidyanathan had woven magic with Capital First. 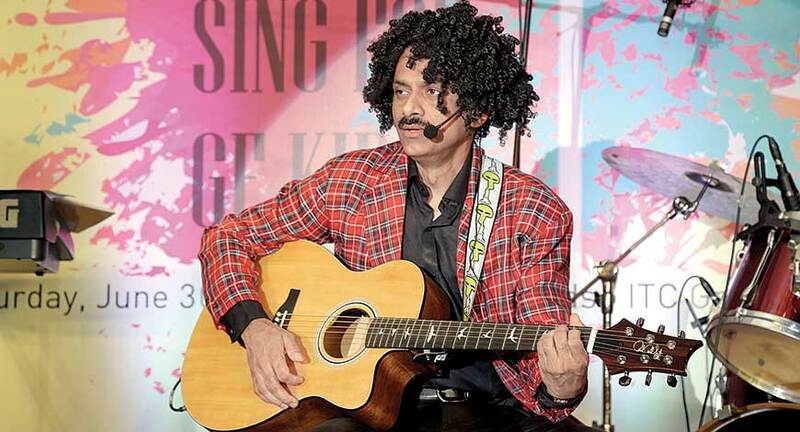 Known to stretch his vocal chords with a guitar, Vaidyanathan left a cozy banking job and a board seat at one of the largest banks to buy a stake in a startup, as is often the case with professionals who catch the entrepreneurial bug. He mortgaged his residence and raised loan against shares to buy stock of the target company, hoping to convert it to a bank. He then built proof-of-concept of financing underserved small entrepreneurs, attracted talent from major industries, secured top private equity players to back his concept and pulled off a stunning leveraged management buyout of the company in 2012. 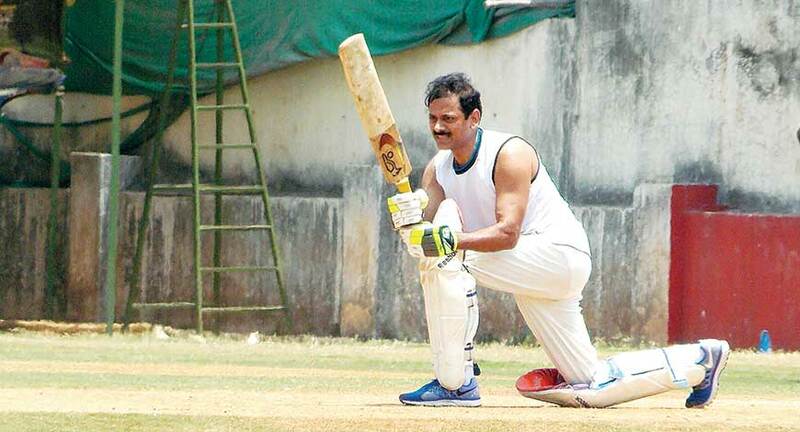 Vaidyanathan, an avid marathoner, turned around the small, loss-suffering startup NBFC (FY 08 and FY 09 net losses at Rs 29 crore and Rs 32 crore, respectively) to become a large successful financial institution with profits of over Rs 328 crore (FY 18), a retail loan book of over Rs 32,000 crore from a mere retail book of Rs 94 crore in 2010. In fact, the street has been in such awe of the performance of Capital First that it pushed up the latter’s stock price to a commanding market valuation of Rs 5,820 crore at the time of delisting of the share in December 2018, compared to Rs 780 crore at the time of the MBO. In fact, at one stage the market cap was up 10 times at Rs 8,000 crore, but fell 40 per cent after the merger news. Despite this, the stock price rose over five times since the MBO in 2012 to Rs 502 on 11 December 2018, when news of the consummation of the merger filtered to the market. 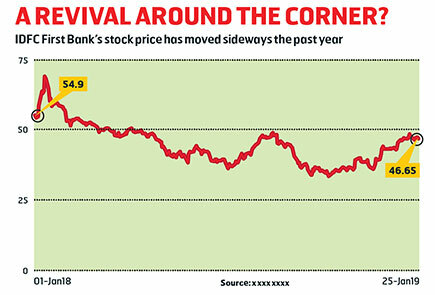 IDFC Bank, by contrast, has seen its share languishing. The stock debuted at 70 in November 2015 and tumbled to a low of Rs 35 on 10 December 2018. It only recently recovered to Rs 47 post the consummation of the merger. Bogged down by the huge wholesale banking and institutional business, the bank has, in the last few years, not made much headway in banking. In September 2018 quarter, IDFC Bank posted a loss of Rs 528 crore, after providing for contingencies. Vaidyanathan himself staked much when he first borrowed about Rs 80 crore to acquire shares of Capital First, making the venture the first leveraged management buyout in banking. But Vaidyanathan has since repaid his loan by selling shares in the market. In March 2017, he informed the exchanges in a statutory reporting that he sold 1.5 per cent of the company, or 1.5 million shares, to raise Rs 108 crore, to close the loan he had availed earlier to acquire the stock. Such confidence to go after conviction takes as much courage as skills. Such soft landing of the MBO for him by part-selling stock at 7x the price he acquired, and subsequently getting a banking license for Capital First by merger makes IDFC First Bank the first leveraged MBO in banking. So what was the need for Capital First to merge with IDFC Bank? In fact, when Capital First announced a merger with IDFC Bank, many an eyebrow were raised. The stock was down 40 per cent. Capital First shareholders grumbled on social media about the losses posted by IDFC Bank after the deal was announced. Capital First was already one of the more profitable NBFCs with an AA+ rating. As per the company presentation, the NBFC’s asset quality was rock stable for eight years, at gross and net NPA of 2 per cent and 1 per cent, through the 2013 rupee crisis, 2016 demonetisation, 2017 GST, and other cycles. So why did a successful NBFC merge with an also-run bank? What prompted Vaidyanathan to take the leap of faith and merge with IDFC Bank? Will he be able to transform the bank from a wholesale bank to a retail one in quick time? Can he build it to profitability? Market evangelists say this will be a runaway success under the new management, because of the solid track record. After all, Capital First’s performance is nothing to scoff at. But some investors agree that the challenges to turnaround are severe. “The deep penetration of banking services are an indication of limited opportunities to scale up. Some of the big banks have seen their growth rates taper and the smaller banks are struggling for acceptable growth rates,” said a banking observer. Vaidyanathan disagrees though and says the bank has made wonderful progress in building the foundation over the last three years. “Setting up a bank from scratch is not easy.” The press release issued at announcement of merger reads he has huge regard for Rajiv Lall and the team for what he has built at IDFC Bank (see interview). He clearly outlines the rationale for the merger. For his part, he says, “I have mixed no words saying that Capital First always wanted to convert to a bank because bank gives the perpetuity, and low cost of funds. We were anyway planning to apply for a banking license on our own; along came this option of merger that was delivering the same result and was a win-win for both. The merger with IDFC Bank has come at an opportune time, if you look at how NBFCs have got impacted lately.” On his part, Lall has stated his strategic intent to retailise the organisation and the merger was a step in that direction. And the merger has its advantages too. First up, IDFC Bank shareholders get an excellent retail franchise, with enough and more expertise in credit appraisals in retail and SME, and seasoned nearly for a decade. For IDFC Bank, it’s an entry into the higher margin, more stable retail credit business with stable asset quality. For Capital First shareholders, the merger benefit is rather straight — it gives them a banking license, and access to a long-term inexpensive source of funding in CASA (current and savings account funds). And though not stated explicitly, observers say bagging Vaidyanathan for succession was a big buy. But he had bigger plans, he wanted his Capital First to merge; so IDFC Bank shareholders get a succession plan in Vaidyanathan. But that’s just about where synergies end. The real test for the new banking entity lies ahead. Consider this, IDFC First Bank is starting off with some massive handicaps. One of the foundations of banking industry is inexpensive CASA deposits. This determines how a bank can fund future growth, how much margins and profitability it can generate, which in turn would have a bearing on equity and Tier-I capital-raising abilities. Besides, it seems as if IDFC Bank squandered away the opportunity to improve upon its CASA deposit base after de-monetisation. During that time, many banks saw a bump in low-cost sources of funding. Besides, most individuals and corporates already have their banking relationships in place. So, how will Vaidyanathan build CASA deposits. Raising CASA deposits now is no cakewalk or, at least, growing it to respectable levels of 20-30 per cent could prove a gargantuan task, particularly if the loan book has to grow. Second, the net interest margins of IDFC Bank are at measly 1.7 per cent when most other banks command NIMs of more than 2.5-4 per cent. HDFC Bank, ICICI Bank, and Axis Bank all have NIMs of over 3 per cent. Of course, the joint entity could see a bump in NIMs after the merger because of the higher retail loan book of Capital First, but not by much. Besides the low profitability of IDFC Bank will hang on the merged entity. Another handicap is that the bank is sitting on a corporate portfolio of about 70 per cent even after the merger. Vaidyanathan envisions building a retail bank with a smaller wholesale banking franchise. By the time he converts IDFC First from a wholesale to a retail bank much time will pass, maybe a good five years. Will investors have the patience? To be fair, he has a track record to inspire. Unlike most other bank CEOs, Vaidyanathan has a stake in the bank he is building, so he has much to lose. Like any first-generation guy, he has kicked enough street to get here, so he will value the opportunity. According to insiders BW spoke to in the organisation, the outfit is suddenly buzzing with new life and a new direction. People who form the core steering committee are finding themselves on their toes and say bold decisions are being taken. The new soft-spoken but straight-talking managing director is diving straight in to find solutions. Such expectations are showing in the stock. The stock is up 34 per cent a month from Rs 35 on December 11, 2018, the day the news of the upcoming consummation filtered to the markets. The companies formally announced merger on 18 December 2018. Vaidynathan has over two decades of experience setting up a successful retail banking franchise with over a thousand retail branches of ICICI Bank, with entrepreneurship to boot. Those were different days, but the market believes he can. Most voices on public forums, particularly employees from former organisations he worked for exude a huge confidence in the abilities of the man. One banking analyst now likens IDFC First Bank’s long-term stock performance to HDFC Bank’s. But like they say every organisation requires a soul and IDFC First Bank seems to have got it for now. The path is being planned today, though it could emerge into clarity after a long, long summer at the crease. Vaidyanathan himself is confident that something amazing can be built, and that is indeed good news.